After a nail-biting multiple offer situation, our offer was accepted! Listed for $749,000, we came in with a bid of $754,000 - and got it done! 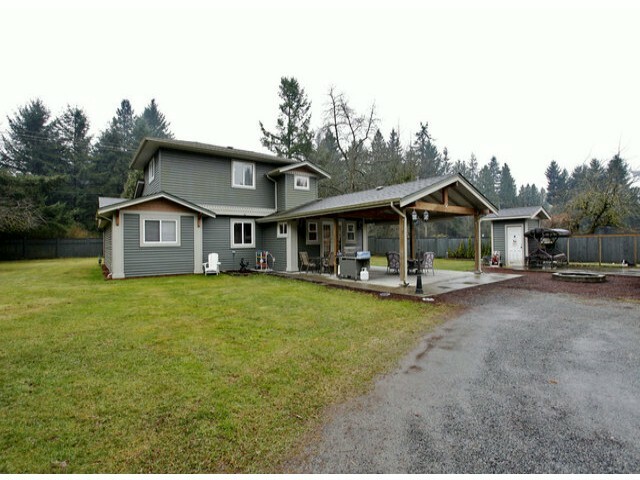 We just removed subjects on this terrific home at 19585 32nd Avenue in Cloverdale. With over an acre of land - in the Campbell Heights location - an area zoned for future business park development. With 4 bedrooms, an updated kitchen, and nothing to do but wait for the equity growth... I know this family can't be happier. And there is even room for the horse!